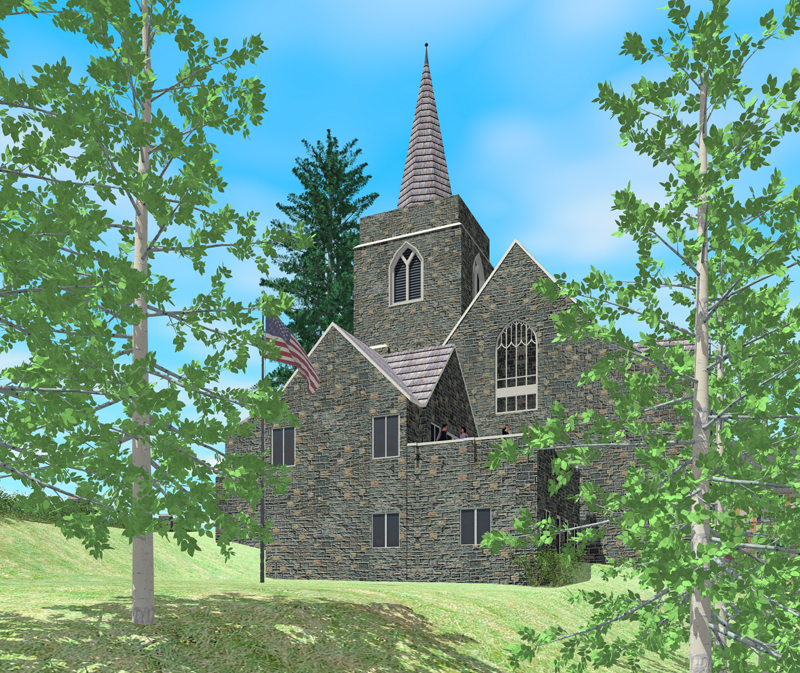 Adirondack Community Church is a beautiful, historically significant edifice that was built on the shores of Mirror Lake in 1927 and expanded in 1958. Recent changes within the church have put an added strain on the facilities. Much of the space needed for worship, fellowship, children’s and youth ministry is inadequate or inappropriate. We were asked to develop a Master Plan that would allow this vibrant congregation to grow throughout the 21st century. Our solution consists of several additions, renovations of all three floors of the 1958 structure and reconfiguration of the sanctuary so that the worship space is consistent with the congregation’s focus on community. The biggest challenge we faced and met was making all seven levels of the facility accessible to the disabled. The church is currently planning a capital campaign to fund the initial $1,200,000 phase of the project. For more information about this church, click here. For the story of the implementation of the first phase of this Master Plan, please see this article. 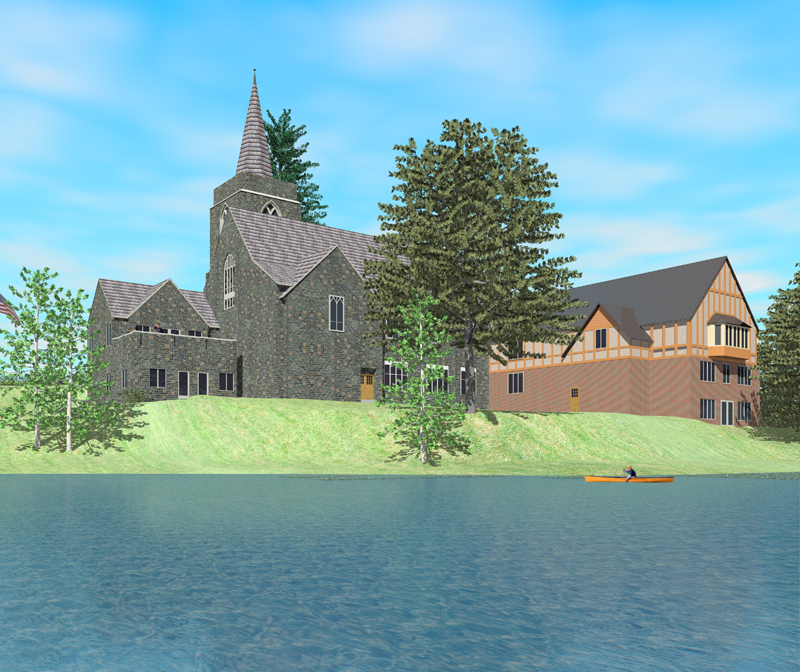 The proposed addition to the church includes an outdoor gathering space with views of Mirror Lake and Whiteface Mountain. Additions are proposed for both the original 1927 church (far left) and the 1958 fellowship hall/education center (far right).